Welcome to our Convert Octal to Decimal page. 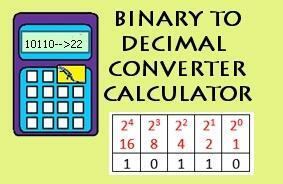 This converter will convert from octal numbers to decimal, or from decimal numbers to octal (base 8). 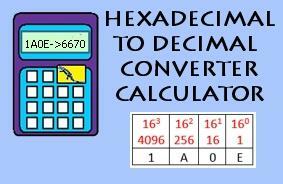 Here is our octal conversion calculator which will help you to convert octal to decimal and decimal to octal. 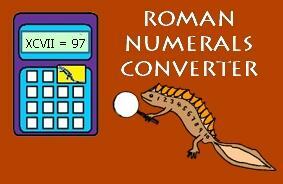 The converter will also show you the formula and working out you need to convert between units. To convert an octal number (base-8) to the decimal (base-10) number system, we need to use octal place value to add the base-10 value of each digit. In the octal place value system, each time you move a place to the left, the value increases eight-fold. In octal, the digit values go from zero to seven; numbers 8 and 9 are not allowed! This table above shows the number 326,107 in the octal number system. 1) Convert 275 from octal to decimal. So 275 in octal is equal to 189. 2) Convert 3250 from octal into decimal. So 3250 in octal is equal to 1704. To convert a decimal number (base-10) to the octal (base-8) number system, we need to change the decimal base-10 place value into octal base-8 place value. Example 1) Convert 139 from decimal to octal. Step 1) Look at what octal place values we need. Our value is just 139, so the powers of 8 we need are 1, 8 and 64 (up to 82). Step 2) Divide 139 by the highest place value number. The quotient tells us what number goes into with the place value of 64, which is 2. Step 3) We now divide the remainder by the next (lower) power of 8. The quotient us what number goes with the place value of 8, which is 1. Step 4) Divide the remainder by the next (lower) power of 8. This tells us which number goes with the place value of 1s which is 3. Our number 139 = 64x2 + 8x1 + 1x3. So our octal answer is 213. Example 2) Convert 946 from decimal to octal. Our value is just 946, so the powers of 8 we need are 1, 8, 64 and 512(up to 83). Step 2) Divide 946 by the highest place value number. The quotient tells us what number goes into with the place value of 512, which is 1. The quotient us what number goes with the place value of 64, which is 6. Step 4) We now divide the remainder by the next (lower) power of 8. The quotient us what number goes with the place value of 8, which is 6. Step 5) We now divide the remainder by the next (lower) power of 8. The quotient us what number goes with the place value of 1s, which is 2. Our number 946 = 512x1 + 64x6 + 8x6 + 1x2. So our octal answer is 1662. This quick conversion table converts octal numbers up to the value of (20)8 into decimal. If you want to learn more about octal numbers, take a look at this article in the kiddle encyclopedia! The article talks about the history of octal numbers, octal arithmetic and has some other facts too!